My first “real job” was working as a marketing and development manager for a nonprofit organization that provided transitional housing and employment services to homeless veterans. Our staff, at its very biggest, was only 12 people. Combined, those 12 staff members served more than 1,000 veterans every year. I’ve also worked for a trade association that served 2,000 members in seven countries—and a staff of about 12-15. I’m fairly certain that someone from a larger organization would have a hard time believing we made a big impact. One for the reasons we made a big impact was because mission-driven organizations tend to attract staff willing to work incredibly hard. If you’re the type of person who has a rigid, narrow definition of your job description, there is a good chance you won’t last long in a small, mission-driven organization. The other reason small organizations like the ones mentioned above often have a disproportionally big footprint is because they have talented, dedicated volunteers on their board of directors. In fact, in many of the nonprofits and trade associations I worked for, the line between director and staff became blurry, with directors occasionally taking on operational roles. While directors doing operational work is not necessarily an ideal way to run an organization, the willingness of a board to roll up their sleeves and help with the dirty work shows a commitment to the mission that inspires and motivates everyone working and volunteering for an organization. However, for most of my nonprofit career, the ability to have a big footprint (or, put another way, to do more with less) was more limited than it is today. For example, my time with the organization that assisted homeless veterans ended almost 15 years ago. While 2003 isn’t exactly the stone age, we didn’t have the technology and tools available to small organizations in 2017. Unfortunately, many small nonprofits and mission-driven organizations are still using technology that limits their ability to maximize their impact—even if those organizations are already making a big difference. There are simple, affordable tools that can help small teams spend more time on activities that advance their mission, and less time on administrative tasks. One of those technologies is a board portal. Specifically, BoardPaq’s market-leading, low-cost board portal. BoardPaq’s product is the board portal of choice for more than 1,000 nonprofits, school boards, community banks, credit unions, and other cost-conscious organizations. 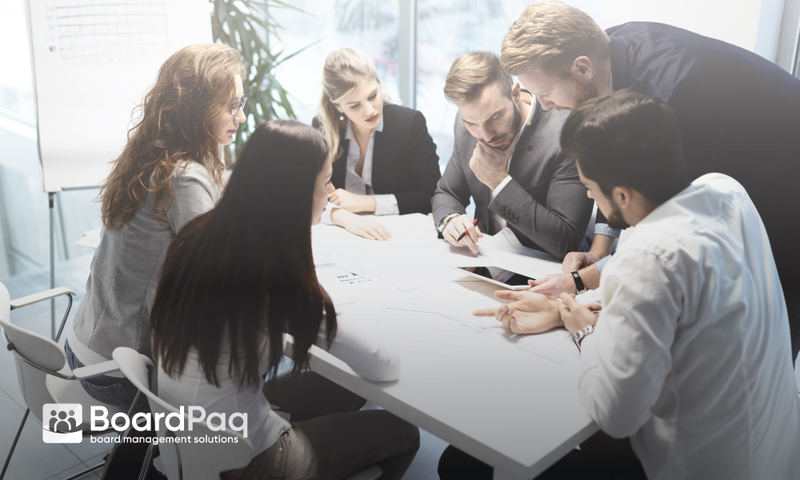 In addition to its robust features that make running your board meetings easier than ever, BoardPaq’s platform is also the only board portal that includes a strategic planning and SWOT analysis tool. Those of you who work for organizations that are making a far bigger difference than anyone would ever expect deserve recognition for the work you do. And you deserve tools that will make your jobs easier and your work even more impactful. You can start learning about one of those tools when you sign up for a BoardPaq demo.